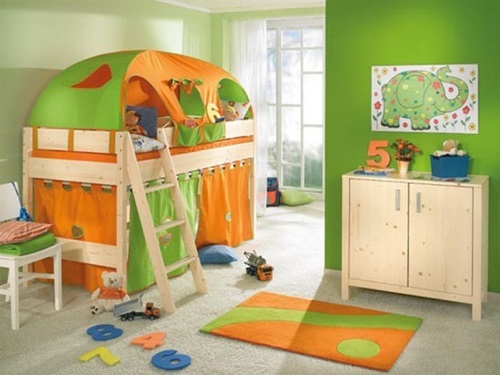 Your kids at the pre-school stage will need to spend most of their time playing and having fun inside or outside their rooms. 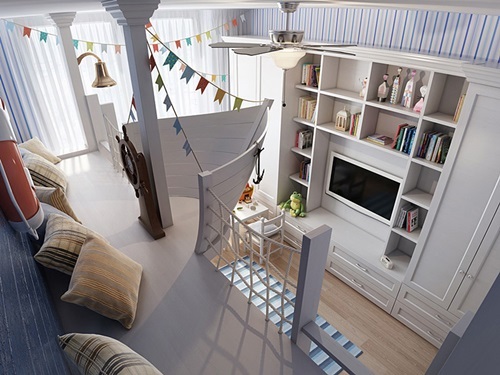 That’s why you should add more fun to the room as a way to let them enjoy their time and learn new skills at the same time. 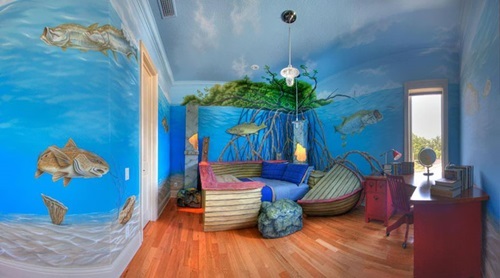 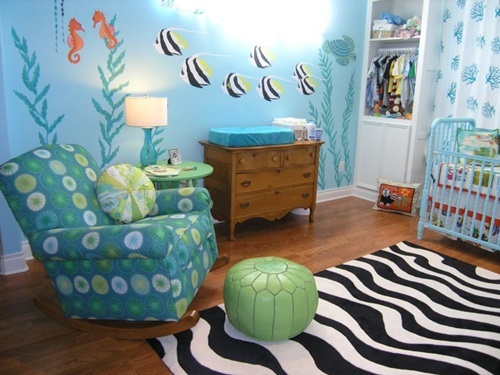 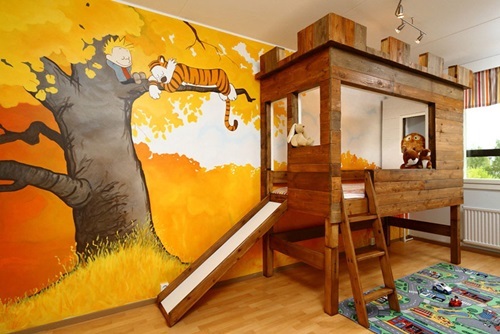 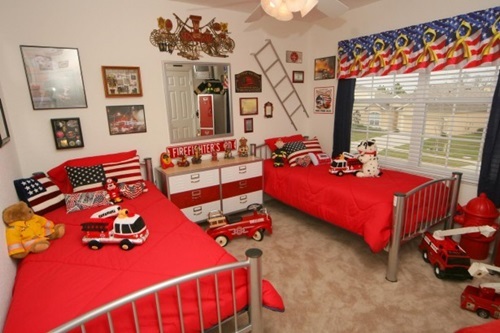 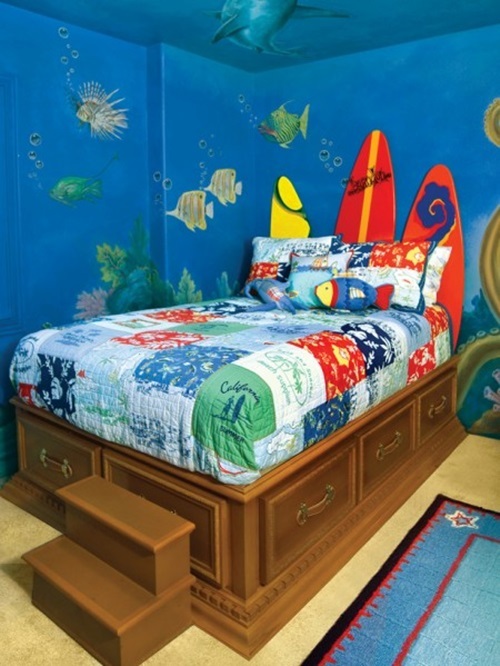 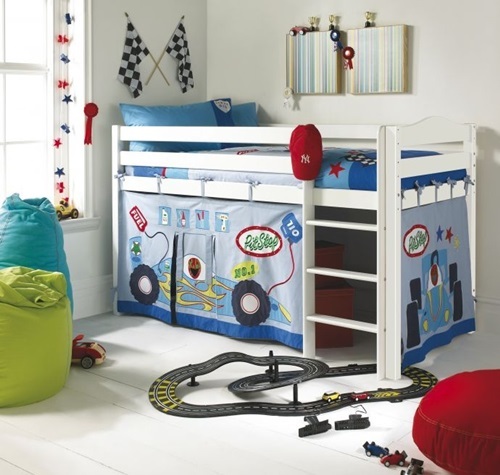 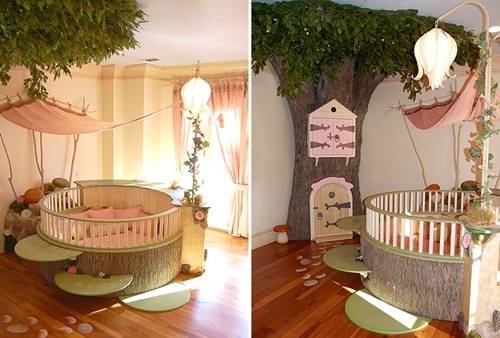 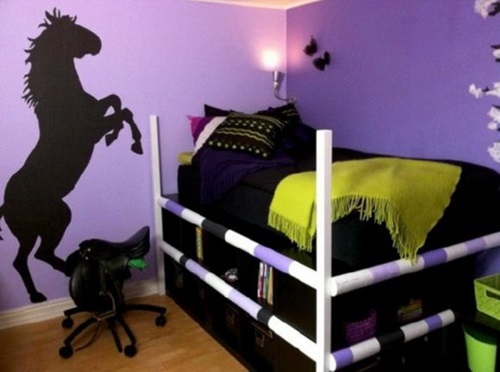 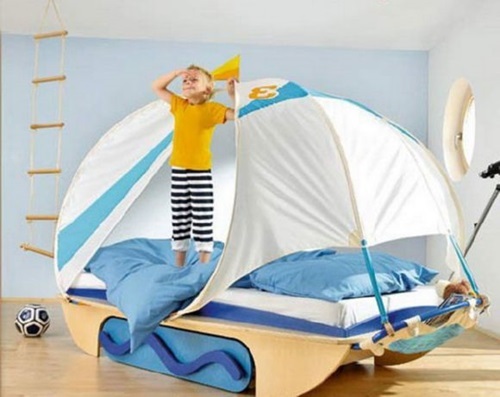 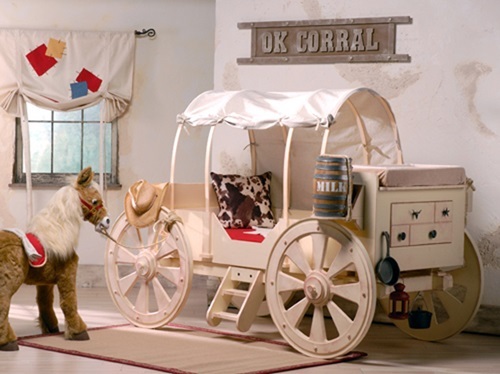 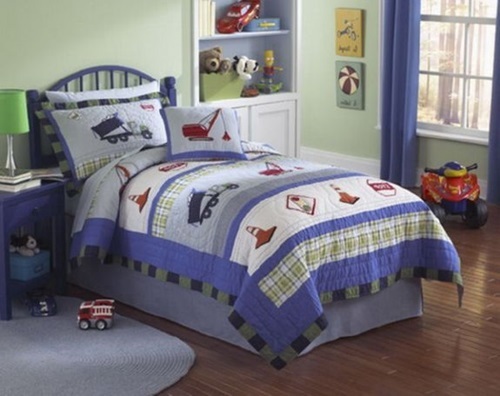 The theme of your kids’ bedroom should be an attractive and innovative to impress your kids. 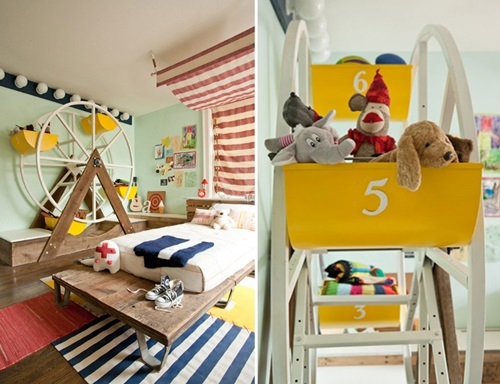 For example, the sport themed room may include a basket net as a toy shelf and a play area on the shape of a small basketball field to let your kid have fun and practice his favorite hobbies. 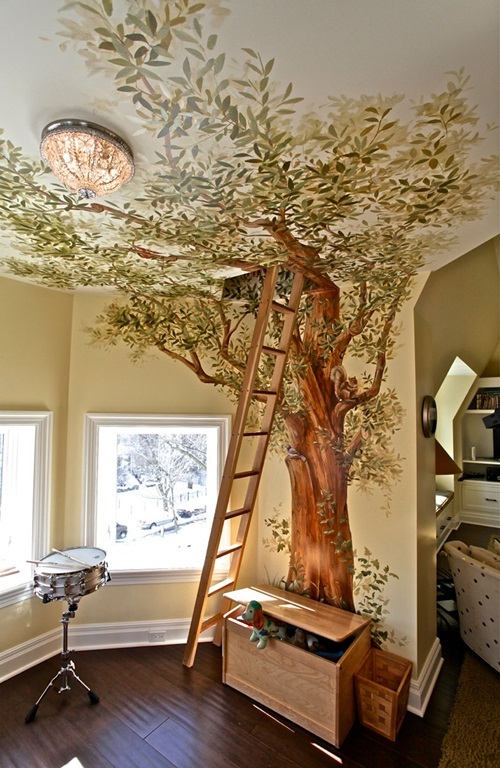 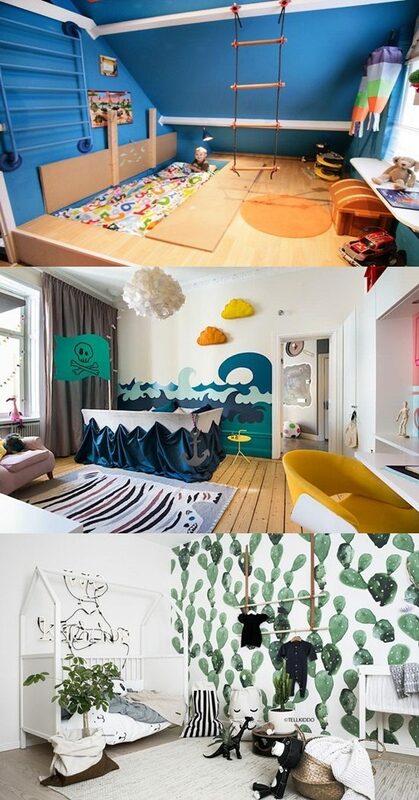 You can use a white cloud mural at the ceiling of every layer of the loft bed with the wall murals that will let him live in his favorite environment. 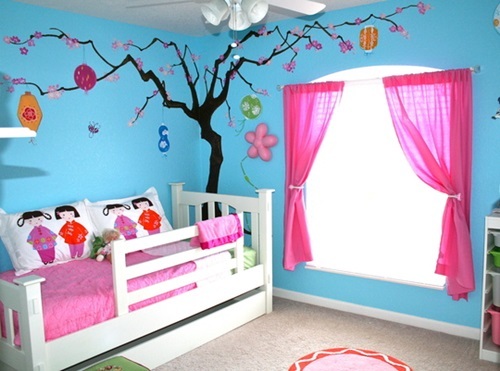 The funny decorative elements such as the different sized and colorful paper lanterns,light strings, and rainbow effects will add an overall fun environment to the room. 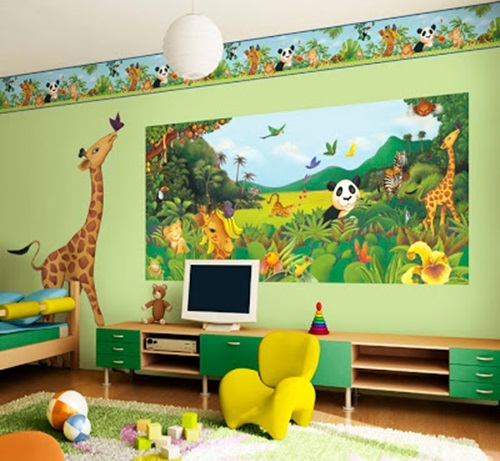 If your kids are old enough to help you to design a unique wall mural, they will find it funny to choose their favorite shapes and they will have more self-confidence; thus, they will be able to develop their abilities. 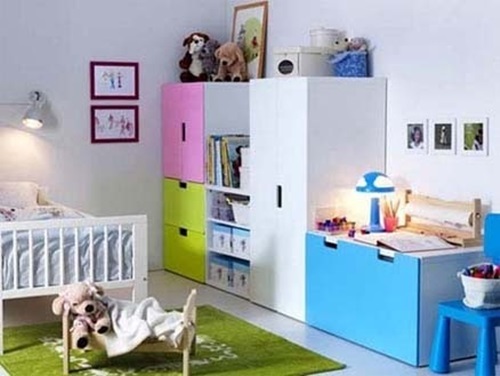 Your kids’ bedroom furniture pieces have different creative designs and shapes to let your kids have fun at the day and night. 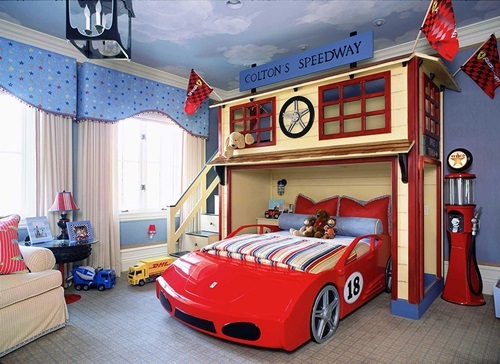 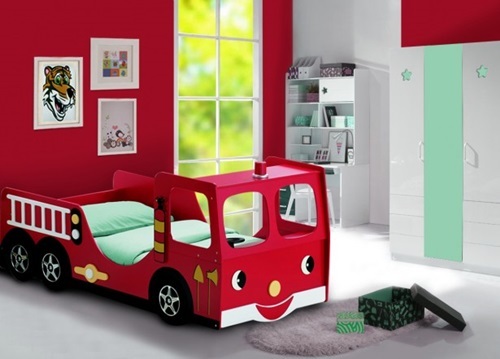 For example, you can find bed and closets on the shape of houses, castles, buses, tents, and even cartoon characters to choose what will match your kids’ preferences. 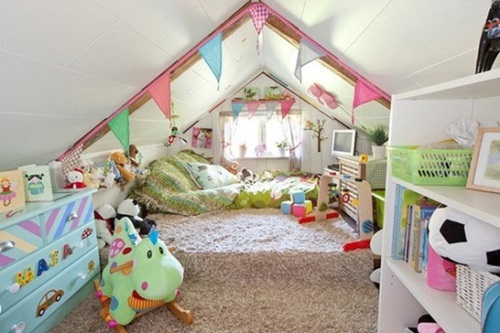 You can create a tiny beauty room in your little girl’s bedroom to let her enjoy with her toys. 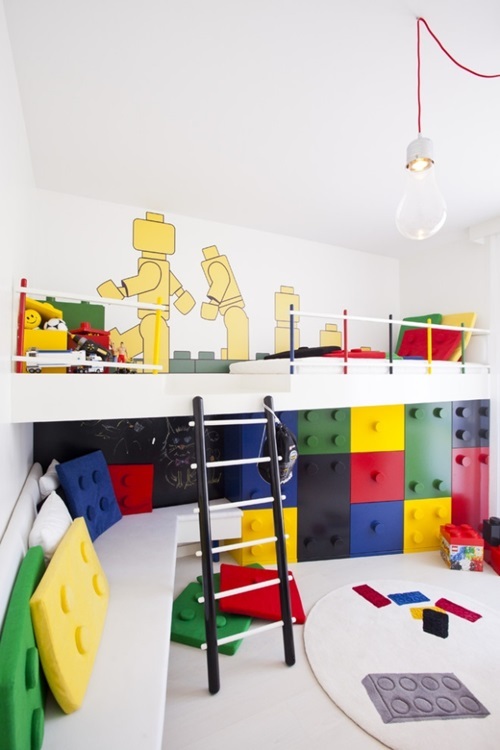 If the room has enough space, you can create a separate zone for every kid to help him enjoy his favorite hobby giving him or her independent personality at the same time.